Western Digital External Hard Drive, being partially recognised by a PC but getting the error “Disk inaccessible. IO error“, the disk also appears to be making a quiet ticking noise. I wanted to enquire whether you are able to extract files from very old PCs please? We have two old PCs running Windows 2000 and would just like to have all of the files on the hard drives transferred to a USB stick so that we can dispose of the computers. Lost Photo/Video files that are of great importance on Macbook, think they’ve potentially been deleted, how much does it cost to recover? I have a samsung harddrive that has been dropped and no longer works. I am in urgent need to recover the photos and videos as they are the only copies of my sons entire life that i have. My Seagate 1TB hard drive is no longer being picked up by my Macbook. I also tried it on a PC. The hard drive powers up, lights come on but then there is loud clicking sounds for roughly 10 seconds and then silence. When the drive is connected (I’ve not tried 4 different machines, Mac and PC) the drive appears in the directory (Freecom device). I can also right click and see ‘get info’ which tells me there is approx 100 GB of data on the 250 GB). I have an external hard drive that used to be a MacBook drive that’s had some damage to the USB connector. The actual drive itself seems to be okay, I just can’t access anything because of the USB. Vodafone Smart Ultra 6. Need data recovering from Internal storage chip. Motherboard is dead/not able to power on. verified by a phone engineer. Is it possible for you to recover data. Advised when I called in this evening “Elliot” would know if it’s possible to recover it. Upgrading to Mavericks? Read This First ! Do you use Western Digital’s Drive Manager, RAID Manager or SmartWare software products? If you do, don’t upgrade to Apple OSX 10.9 Mavericks. Western Digital have issued a warning to it’s customers after they experienced data loss issues when upgrading their Mac’s to the new OSX 10.9 Mavericks software which comes as a free upgrade. 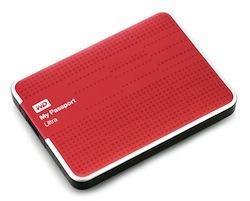 Western Digital advise all users of it’s external hard drives not to upgrade to OS X Mavericks yet. For users who have already done so they advise uninstalling all copies of WD Raid Manager, WD Drive Manager and WD SmartWare – all of which WD has removed from its site to avoid fresh installations, and then perform a system reboot the system to avoid data loss. If you’ve lost data due to the Maverick’s OS update and need it recovered we recommend you choose a reputable data recovery company to retrieve your information. Posted in General, News | Comments Off on Upgrading to Mavericks? Read This First !